Gotten a set of these special edition of PortaPro for trial purporses, which will be released in the near future. Review has been added! Scroll below for it. The box inside the package which houses the goodies! Box opened. One side of the collectible coin. Open Box with the flip side of the coin and with its fold-out describing its heritage. A comparision picture with my rugged PortaPro which served me well in my travels! Well, these 25th Anniversary limited edition PortaPro certainly stayed true to the sound of the original PortaPro, with significant cosmetic makeover, to celebrate its heritage of being in production and enjoyed by all people for 25 years. Package of it includes the limited edition PortaPro, a collectible coin, soft leatherette pouch and a ¼ inch headphone jack adaptor. The coin is a very solid and heavy (pewter? 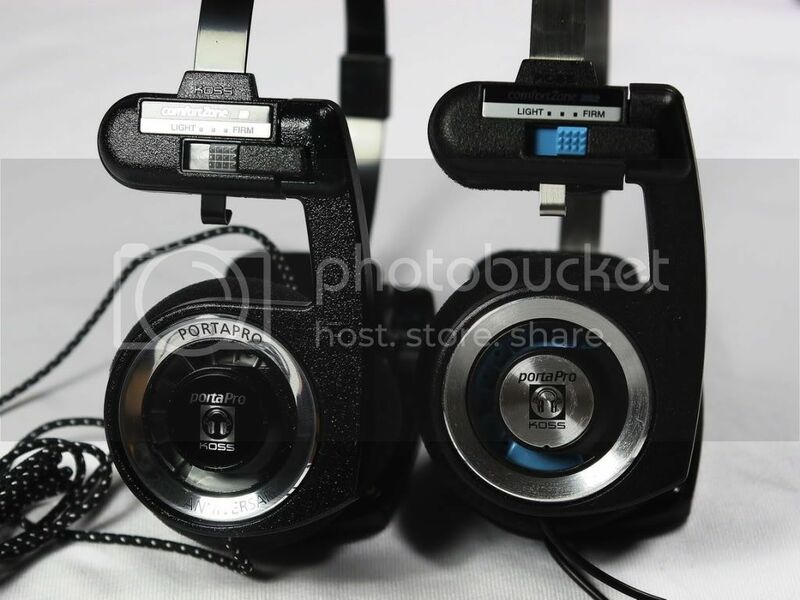 ), with the Koss icon and an illustration of the PortaPro embossed on the sides. 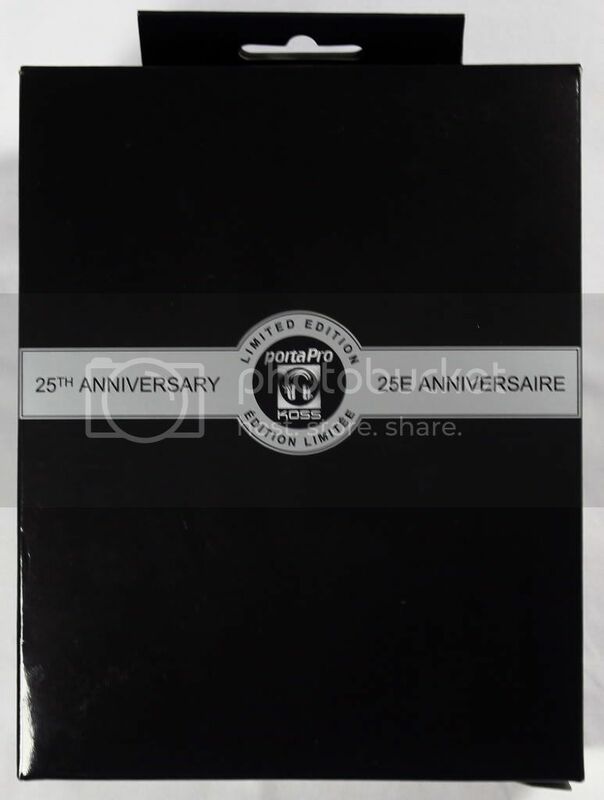 The colour of the metallic headband is black, akin to the SportaPro, the metal rings are smooth shiny chrome silver with the text “PORTAPRO” and “25th ANNIVERSARY”, unlike the original’s brushed metal. The icon colour in the middle as be inverted as well, and also with grey drivers, unlike the standard blue drivers, and the other limited edition red. The cables are cloth-sleeved, feels better than the original’s rubber sleeve. The plastic housing has more texture as well. This edition is dedicated to the lovers and fans of the PortaPro, as a celebration of its perennial product, which excelled in the test of time ever since 1984. So far, only 25,000 has been released. Whenever people ask for recommendations for a budget pair of portable headphones which provides a large amount of satisfying bass, the Koss PortaPro will always be among the first in the list, with a very very good reasons. Its design is very funky looking retro 80’s style, due the fact that its actually from the 80’s! 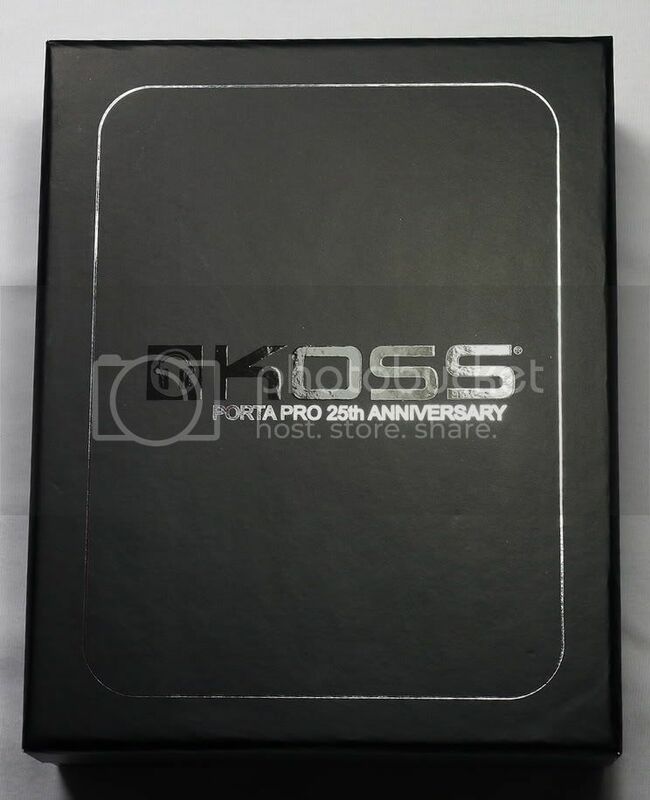 I originally started off with the SportaPro, which is Koss’s recent addition as an alternate version, as a cheap alternative version of the original PortaPro (They share the same drivers, and sound almost the same). Time went by however, and I eventually unable to shrug off the vast difference of the looks, as the SportaPro really looked very very cheap in its plastic housing. Promptly sold off my SportaPro and gotten my very own legendary PortaPro, and boy, I loved the design. Its very lightweight and minimalist, yet so practical. The foam pads are very comfortable to the ears, unlike Grado’s foam pads which tends to irritate the ears. The drivers are free-swivel, adapting to the shape of your ear. The ingenious headband is extended when pulled down on the head, allowing it to be worn even with large heads. Though it’s a fact that this design is prone to clip on hair, giving some discomfort on some occasions. There is even a setting they call the “ComfortZone”, which is essentially allows you to tweak how tight you want these to clamp on your ears, with “Firm” being the default. Though even on Firm, the PortaPro never exhibits a over-tight clamping force and causes headaches, yet tight enough for you to headbang to your favourite tunes without it falling off. What a great balance. True to its spirit of being portable, the driver pads can even be folded inwards and hooked in place, into a ball-shape. This allows easy storage in the provided pouch. What’s the best thing? Limited international LIFETIME warranty. You heard me right. Lifetime warranty. Simply bring the unit with the original invoice to the local Koss Distributor, Terms and conditions apply. The highlight of the PortaPro! It dishes out an amazing amount of bass which really helped to liven up your music. Of course it doesn’t go as low as fully-fledged headphones like the Denon D5000, but it certainly not too far behind, letting you savor those bass guitar riffs. The bass can get A bit muddy due to its sheer amount of bass, but its still very enjoyable! Great bass impact. It really works well with bass-centric tunes for you to headbang! Its pretty good in this department, displaying melodies such as guitars sufficiently well. Vocals are well represented as well, but without the sparkle that other much much more expensive headphones like W1000 exhibits. Makes listening to melodious music enjoyable! Highs do get somewhat rolled off, but they do not having piercing highs. But its sufficient for casual listening on the go. Good clarity and instrument separation. 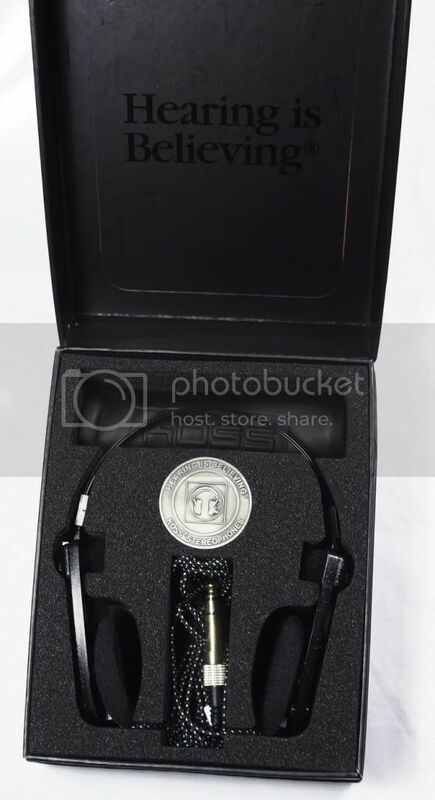 Again, cannot be compared with other expensive headphones like the Sony PFR-V1. Due to its nature of being a pair of supra-aural headphones and resting on your ears directly and not covering the ears completely, its not going to isolate much. Its still pretty much okay in MRT, but old noisy cranky bus engine noises will mix into your music. A small amount of music will leak out as well, being a semi-open pair of headphone. The sound signature of the PortaPro suits the general casual listener a lot, which works really well with mainstream pop, and also with songs with ample amount of bass including rock anthems, metal, hip-hop, rnb and various electronica genres. 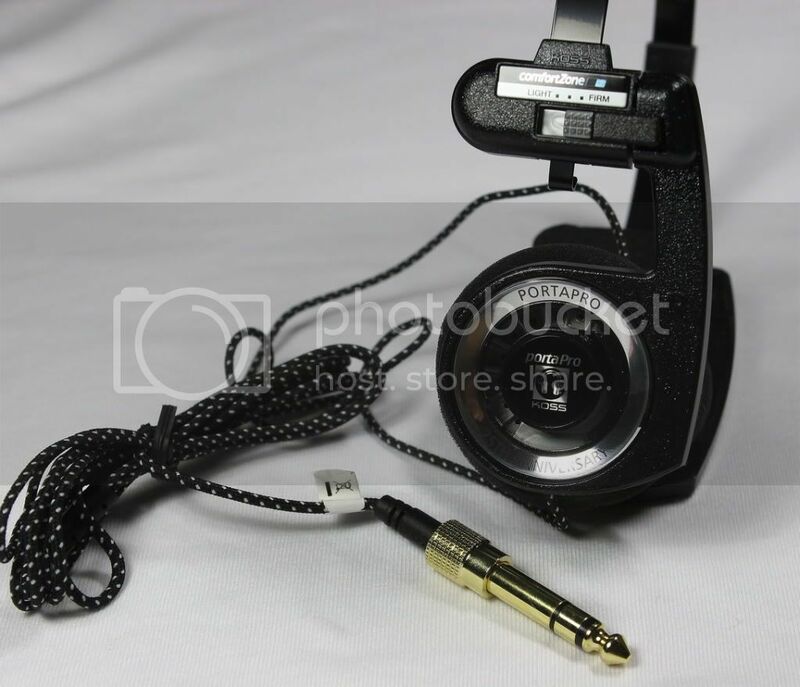 The PortaPro is very easily driven, and sounds great straight from MP3 players, including Ipod. It also works wonderfully well with the PSP. Its bliss playing DJ Max games on the PSP with my PortaPro. A very enjoyable pair of headphones at a great budget price, with only the Sennheiser PX100 being its only competitor with similar sound signature and price. 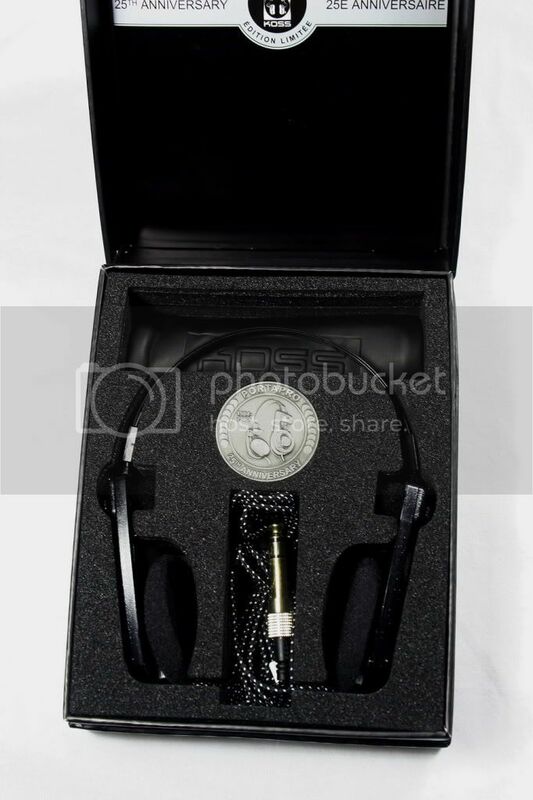 Bass-lovers new to the audio hobby are encouraged to pick this up as your first pair of headphones. They will not disappoint at all, with a price range below $90. I'll be definitely keeping both versions of the Portapro with me, I love them so much. I like the look and I LOVE the coin. Interests:Music, Music, Music! <br />Toys, Toys, Toys! Review has been added! Received word that its having a soft launch sometime this week, and a MSRP of $129.95. hi wednesday! !did ya try 3 set of porta pro during the meet? I've only managed to try Neo32's recabled PortaPro, didn't manage to try your Kramer-modded PortaPros unfortunately. Sorry!! What's your impressions in the difference to the stock? went to SE to check, and they got it in stock alr! i am so getting it. going down to SE tml to get mine.. Does the sound differ from the original portapro? I am not sure because i sold my normal portapro last year. The differences are mainly in looks, but the sleeving of the cable is different. It might mean that a better cable is being used in this version. I prefer this new cable, the regular one seems very filmsy. 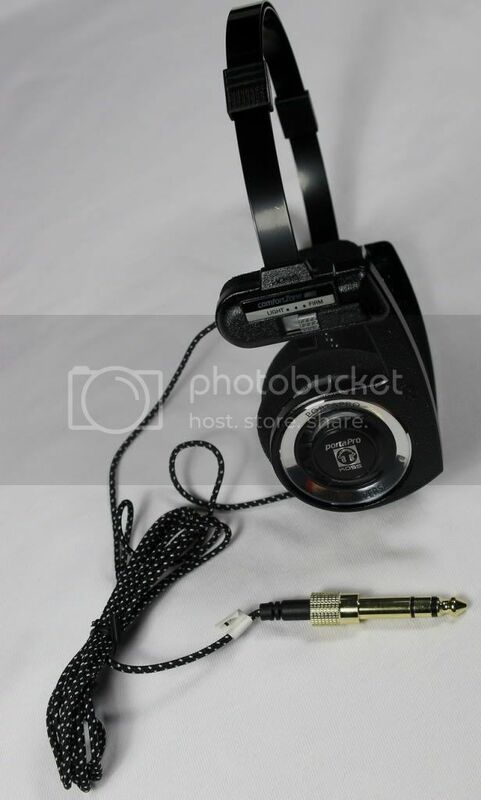 I want to ask a question, can the px200 earpads fit directly on portapro? Because i saw on head-fi some people recommend using px200 earpads for less muddy bass, but not mentioned if the earpads can fit without modifying them.